My ideal gift (to receive) is a basket of nurturing items (think candles, chocolates) that includes a good book. I also like to give books as gifts, finding the right book to match the recipient's interests. Even if somebody doesn't read fictional novels, there's a non-fiction or a general interest book out there that's sure to suit. So, without further ado, here are my book giving suggestions for some of the people on your list this holiday season. This could also be for the music fan, particularly if you are a fan of Tom Wilson and Junkhouse. But for me, this book is all about the story - particularly since the story takes place in my beloved hometown of Hamilton, Ontario. 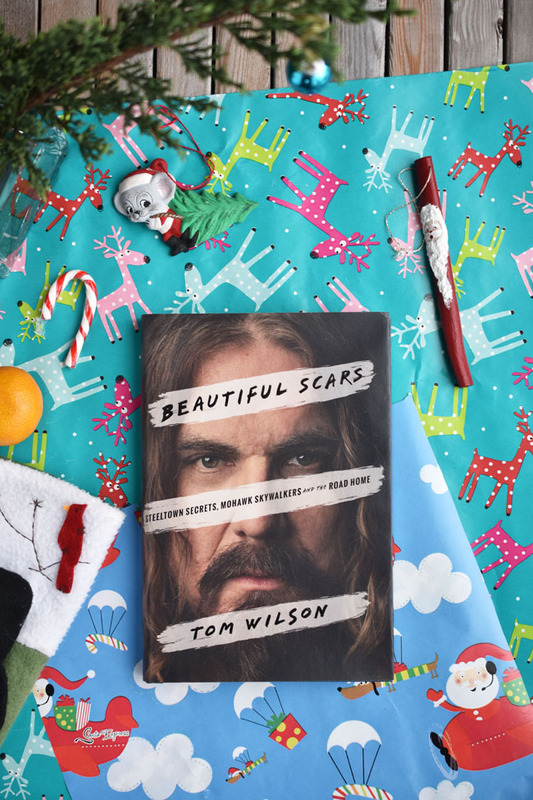 Beautiful Scars: Steeltown Secrets, Mohawk Skywalkers and the Road Home is Wilson's autobiographical account of growing up in Hamilton (or in the "rough-and-tumble" world of Hamilton, as the description on Amazon says), sensing the whole time that there was something amiss about his existence as the son of Bunny and George Wilson. He carved out a career as a successful international musician and visual artist. From the book jacket: "Along the way he became a father and a grandfather, battled demons and addiction, and he waited, hoping for the truth to emerge. And when it did, it would sweep across the St. Lawrence River to the Mohawk reserve of Kahnawake in Quebec, on to the heights of the Manhattan skyline. It's a story about scars, about the ones that hurt us, and the ones that make us who we are." Cocktails . I think the name says it all. 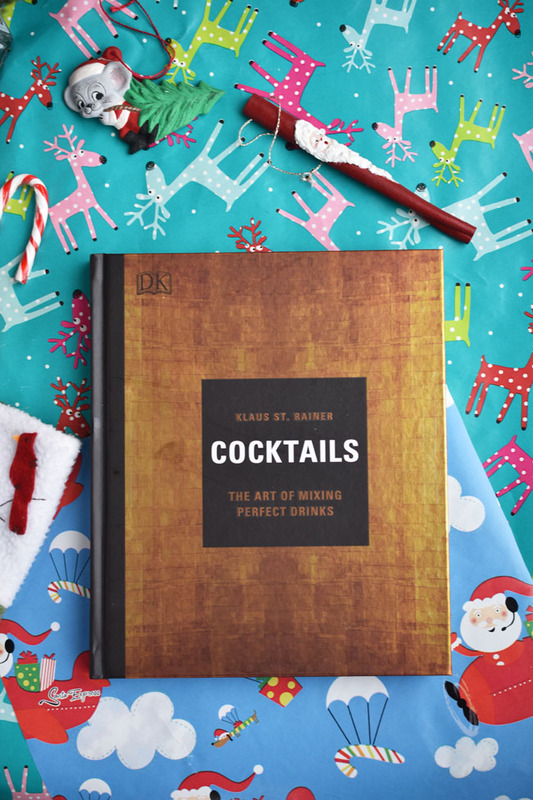 A great host knows how to whip together a few classic cocktails, and, if you don't, keep this DK book handy on your bar cart. Cocktails promises to help you learn the art of mixing perfect drinks. "Bartender of the Year," Klaus St. Rainer shares 70 cocktail recipes for all the key classics and his own signature creations. Make a simple drink for one or prepare large quantities for a cocktail party using this beautifully photographed guide. 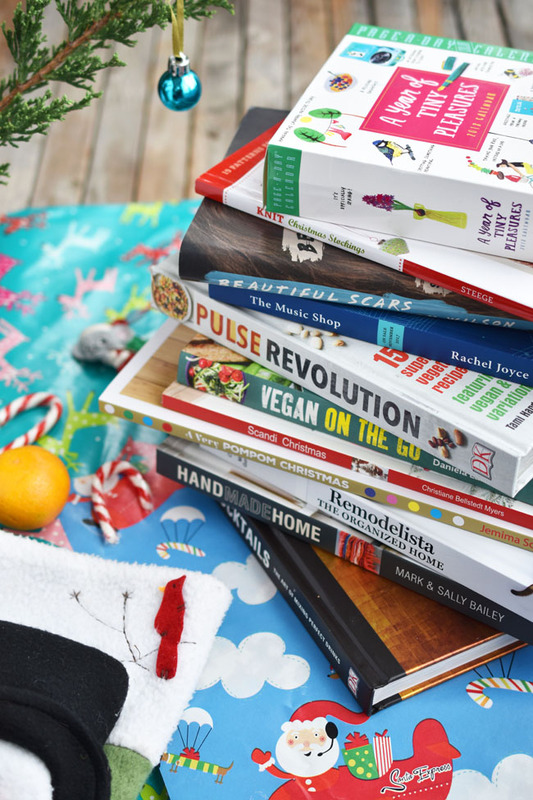 Here are more beautiful books from DK, these two for the health-conscious foodie. 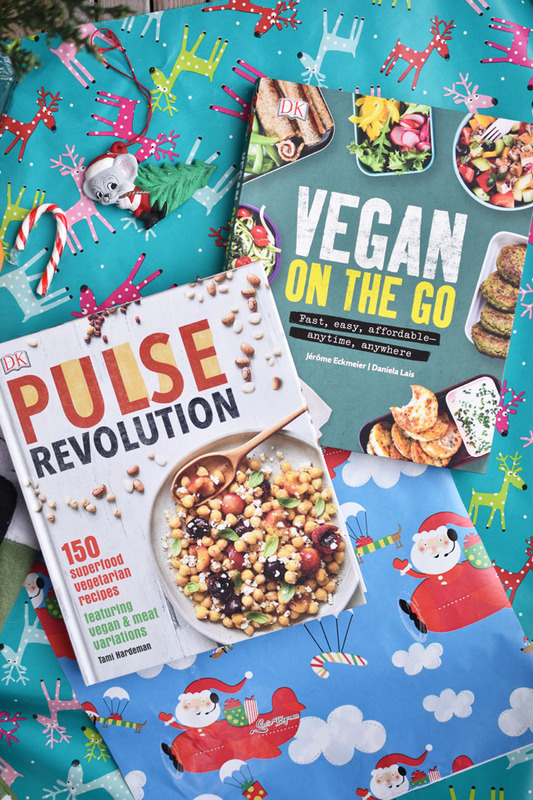 Pulse Revolution: 150 superfood vegetarian recipes featuring vegan & meat variations focuses on affordable, sustainable, versatile pulses - lentils, black beans, chickpeas, lima beans - all those wonderful, tasty and nutrient-dense gifts from nature. With breakfasts from easy to slightly more fancy, plus snacks, soups, salads, tacos, curries, casseroles, desserts and more, Pulse Revolution will set your foodie friends on the right path for the New Year. Vegan on the Go: Fast, easy, affordable anytime, anywhere is my kind of vegan cookbook. Did you see the fast, easy and affordable in the title? Who could ask for more? There are 100 vegan recipes, with a focus on lunches. It's tasty and nutritious food that you can take anywhere, with ideas for snacks, soups, salads, sandwiches and sweet treats. And, because it's DK, you know you're going to get inspiring photos of each dish. 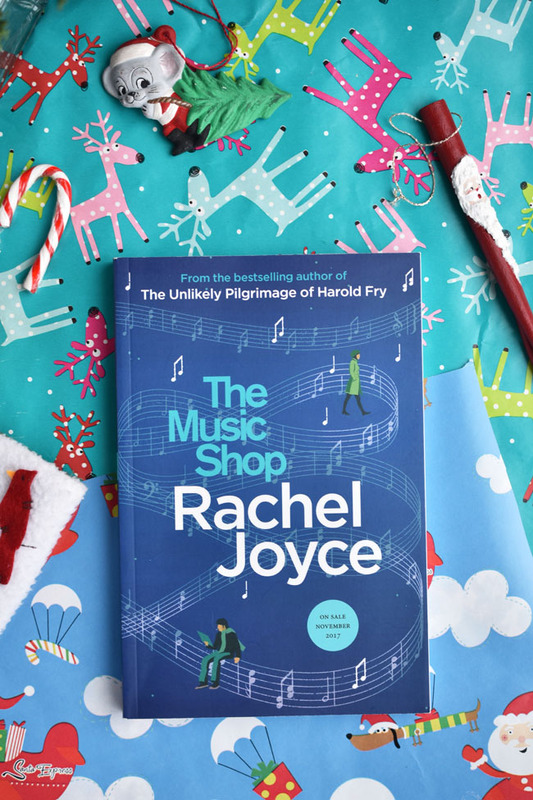 If your gift recipient likes to keep up with current fiction titles, The Music Shop: A Novel is a good bet. Author Rachel Joyce's first novel was The Unlikely Pilgrimage of Harold Fry, the engaging tale of 65-year-old Harold Fry, who receives a letter that inspires a long and revealing pilgrimage on foot. The Music Shop has quite a different premise, but one that interests me as somebody who still holds onto old-fashioned things like printed books and hand-written to-do lists (and vinyl records). The book is set in 1988, a time when I myself frequently browsed the offerings in downtown music shops. The location is a dead-end street in England where Frank's small music shop is jam-packed with records. Frank falls for a visitor to the shop, a passion "as misguided as his determination to save vinyl," according to the book's description. "The Music Shop is a story about good, ordinary people who take on forces too big for them. It's about falling in love and how hard it can be. And it's about music - how it can bring us together when we are divided and save us when all seems lost." In Handmade Home: Living with Art and Craft , Mark and Sally Bailey of Bailey's Home Store share a look at the inspirational homes of artists, craftspeople and designers. The book is based on the premise that living with paintings, sculptures, ceramics, textiles and other handcrafted items gives a home distinct personality. I think that's so true. I have seen professionally decorated homes that are "perfect," yet somehow dull. It's the special touches that reflect a home's inhabitants that really make it shine. Handmade Home first takes us through the elements that can be used to give warmth to a home - colour, texture, textiles - then it moves onto gorgeous images of unique and character-filled homes, often with a rustic country edge. Remodelista: The Organized Home: Simple, Stylish Storage Ideas for All Over the House is just the type of inspiration I'm going to be looking for once all the Christmas decorations are boxed away again. Truth be told, it's the kind of inspiration I look for all year long. I have been purging excess stuff from our house for a couple of years now, and there's more work to be done. The Organized Home is as tidy as its title, broken down as it is into clean chapters such as The Entryway, The Kitchen, The Laundry and the Utility Closet, The Clothes Closet and more. The book begins with a quote from Benjamin Franklin: "For every minute spent in organizing, an hour is earned." That's the goal, right? This book offers up many great organization and storage tips, with pretty photos to keep you inspired. I have three great book titles for the crafter/decorator who loves Christmas. Maybe you don't think to give Christmas books for Christmas, but I actually plan to peruse these books in more detail after Christmas, when I have more time. I don't think it's at all unwise to start crafting for next Christmas, do you? Especially if you are a slow crafter like this girl. Scandi Christmas: Over 45 projects and quick ideas for beautiful decorations & gifts is fun to browse even if you never make a single project. There's something so peaceful and pretty about Scandi decor. Projects include a fabric garland (shown in festive red and white), a crab apple wreath, a simple wire wreath with greenery, patchwork quilt baubles and fabric-covered cans. Many projects will suit your winter decor throughout the season. A Very Pompom Christmas: 20 Festive Projects to Make suits my fondness for pompoms. They're just so darn cute! You can make snowman and dove ornaments for your tree, a dangling screen of pompoms for a window or door, a bright garland, berry branches and more. Materials and techniques are outlined, and you're encouraged to get the whole family involved. Making pompoms is a great craft to do with the kiddos. My daughter loves to make pompoms (almost as much as I do). 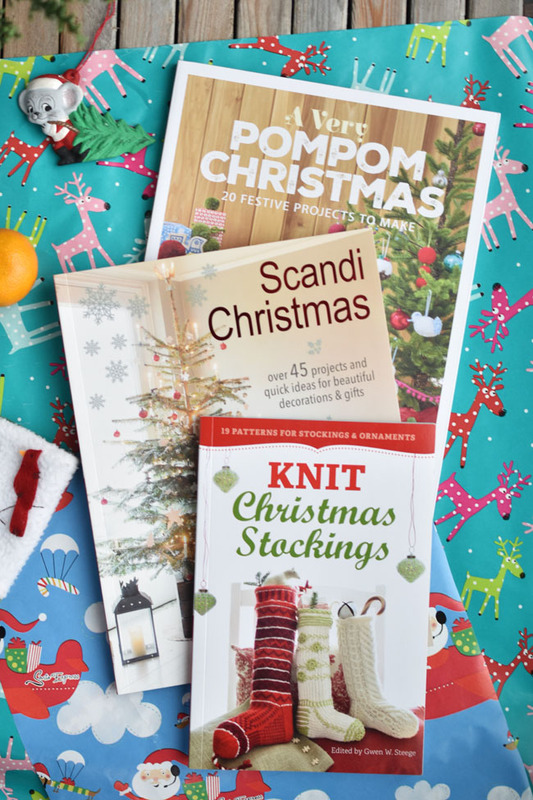 If you have visions of making your own Christmas stockings, one for each family member, then Knit Christmas Stockings is the book for you. There are 19 patterns for beautiful stockings and ornaments. My sister-in-law made knit stockings for her family of six without a pattern. I'm not that girl. Pattern all the way. And even then...let's just say I need practice. The good news is, once you have your lovely homemade stockings done, they'll be treasured for years to come. There are patterns for mini stockings, stockings with jangling jester's bells and snazzy argyles. With 2018 almost here, we'll soon be thinking of bettering ourselves. New fitness club membership anyone? But I suggest starting gently with some self-love and appreciation. The path to a happy 2018 includes time pursuing activities that nurture your unique interests and desires. A Year of Tiny Pleasures Page-A-Day Calendar 2018 features a sweet little colour illustration for each day of the year, accompanied by suggestions for small pleasures. I confess I peeked a bit. My favourites? Hanging a garland up, just because. Something fresh out of the oven. Falling down a rabbit hole of inspiration. This would be a super sweet gift for a friend or loved one. If you have a preteen on your list, I highly recommend this Wonder Wall Calendar 2018 too. For more of my fave novels and vegan cookbooks (and movies and food), shop my recommendations here on Amazon. Do you like to give and/or receive books as gifts? What books are on your wish list currently? What area of your home would you most like to get organized in the New Year? Giveaway! 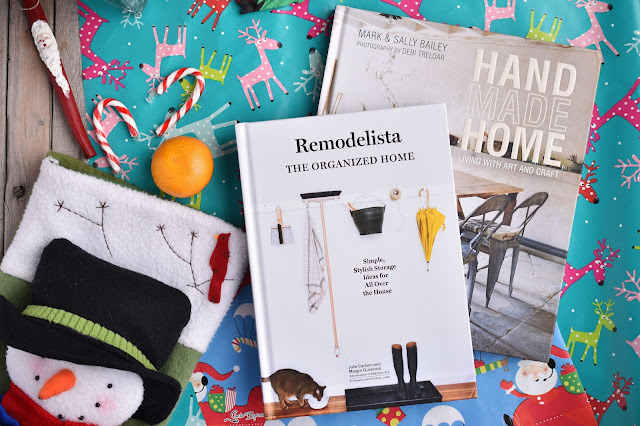 Enter to win a copy of The Organized Home! 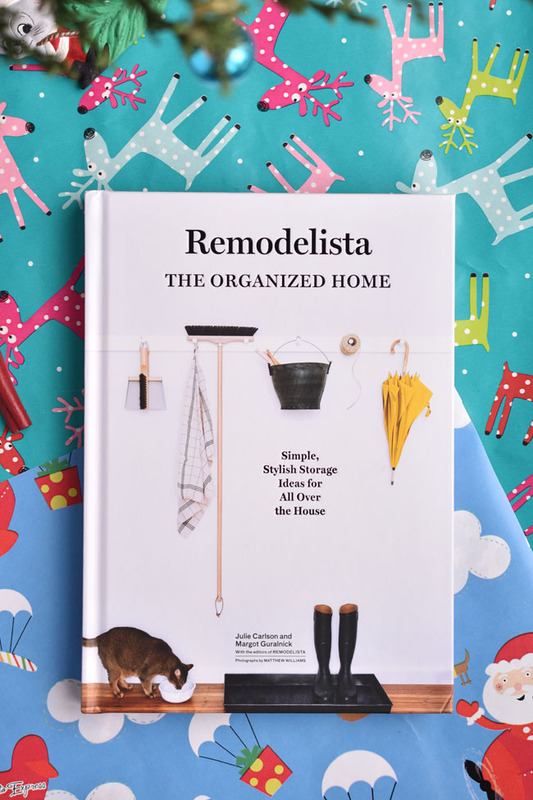 Canadians can enter for a chance to win a copy of Remodelista: The Organized Home: Simple, Stylish Storage Ideas for All Over the House , graciously provided by Thomas Allen & Son. After all of the holiday decor is put away, you're going to want to organize your house for the New Year. Am I right? Enter using the rafflecopter below until January 8th. What an extensive list. Everything sounds excellent. I'm as reader too!! The kitchen is in need of a good sorting out. I would like to organise my son's bedroom the most. Oops! I'm in the USA and I already entered twice. If I'm picked please choose again! Organizing is always on my to do list. But if I won I think I would gift it to my daughter as she would love the book. my kitchen is the room that needs the most organizing; but if I am honest my whole house is a mess. our basement storage area definitely needs clearing out; there is about 20 years of stuff down there that we haven't looked at it so long; we can never find anything when we need it! I really need to get my closets under control. At the moment they're a disorganized dumping ground. I need to work on my kitchen and get it organized. Does the whole thing count? Ha. I'd really like to get our bathrooms done this year, and maybe get the house painted! I'd like to organize the basement. My kitchen cupboards and pantry need a good sorting! I love books. I would like to organize my sewing space better. I'd love to organize my office! My laundry room needs a major overhaul! I would most like to organize my office. I need to organize my bedroom! I have clothes and craft supplies that need to be organized properly. I really need tor declutter and organize my children's rooms.